Not all booths are created equally. Our booth provides a top of the line professional DSLR camera and soft lighting to make your crew look good, while housed in a chic, modern design. Our open air concept will allow all of your guests to be part of the action, while effortlessly integrating into your wedding. 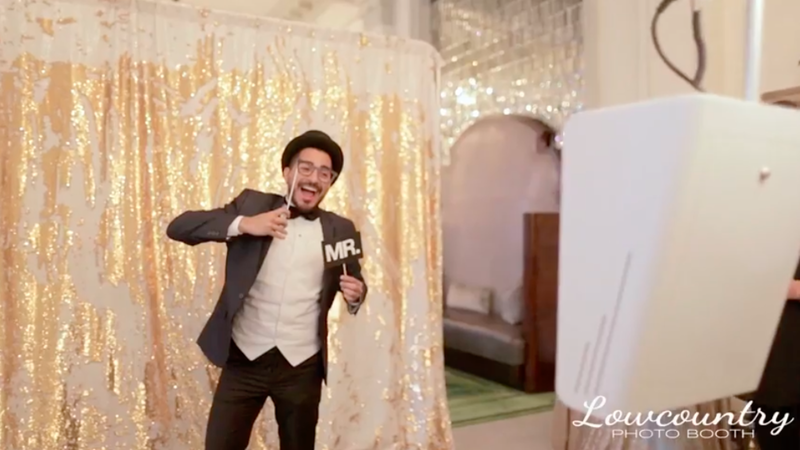 Our packages include a choice of a luxury backdrop to coordinate with your wedding (find our collection HERE) but we get super excited when you want to create a custom backdrop! No mediocre prints here! Forget the traditional 2x6 strips with “personalized” name and date. 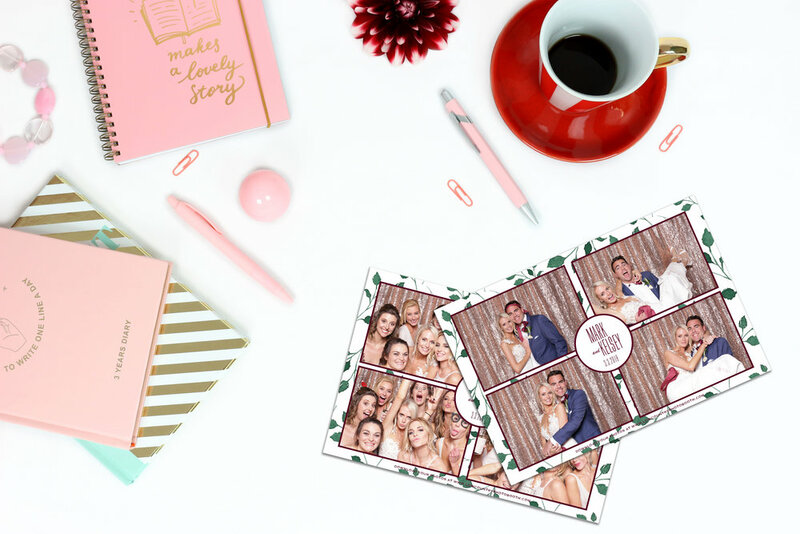 We offer 4x6 modern postcards that are COMPLETELY CUSTOM to your wedding! Have an incredible wedding invitation? A wedding logo incorporated throughout your wedding design? We build relationships with our clients to learn about the style, decor, and theme of our client’s big day. Then, our in-house designer creates a perfectly styled, one-of-kind print to match. With our high-end printer, within seconds guests will walk away with a keepsake to cherish forever. What’s a GIF? Basically an endless loop of fun! Don’t sacrifice that fun for prints, as we offer prints AND GIFs all in one! We can even custom design an overlay to coordinate with your photo template! Not only will your guests receive a photo of all the fun, guests can send photos and GIFs directly to their phone, from our booth! A digital copy can be emailed with a tailored message from the bride and groom; including your wedding hashtag! We can customize our booth’s touch screen to fit your wedding theme to greet your guests! After your wedding, family and friends can continue to share the love by visiting our online gallery to download high quality individual photos to print at home! If you're looking to elevate your wedding with a unique experience that brings out your taste and personality, then welcome to Team Awesome! INQUIRE HERE or check out our WEDDING PACKAGES HERE.